Autodesk Inc. has a 20 plus year track record of sustainable, reliable, and innovative designing software reigning over the 2D and 3D design and production and pre-manufacturing phase automation domains. Hence, it is no surprise that they have separate softwares for separate purposes. The differences are a considerable factor in the various Autodesk software’s. In this head-to-head comparison, we will differentiate and compare AutoCAD vs Inventor for their purposes and why one would be perfect for a specific user over the other. Diving head first into the world of CAD there are a few subtle and some not-so-subtle differences that one can see, realize and experience as soon as he/she is exposed to both of the softwares. 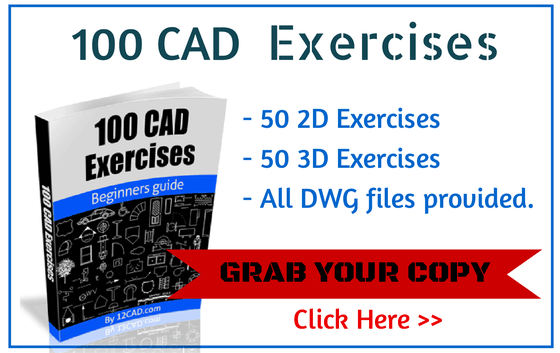 Before I move on with the comparison between AutoCAD and Inventor – I strongly recommend getting our 100 CAD Exercises eBOOK ! AutoCAD was an all-in-all suite for the design engineer and technician. Autodesk Inventor is the exact opposite. The design philosophy behind the software’s is the fact that AutoCAD was created nearly 2 decades ago with a focus on more things for more kinds of users for even more domains. Be it civil architecture design, mechanical part manufacturing, post-development cross-section manipulation and evaluation or simply a script based macro for animating the part’s movement once put together, AutoCAD was developed and meant to be able to do all of that just as easily as anything in between. But Autodesk Inventor was not. And that’s the beauty of Inventor. 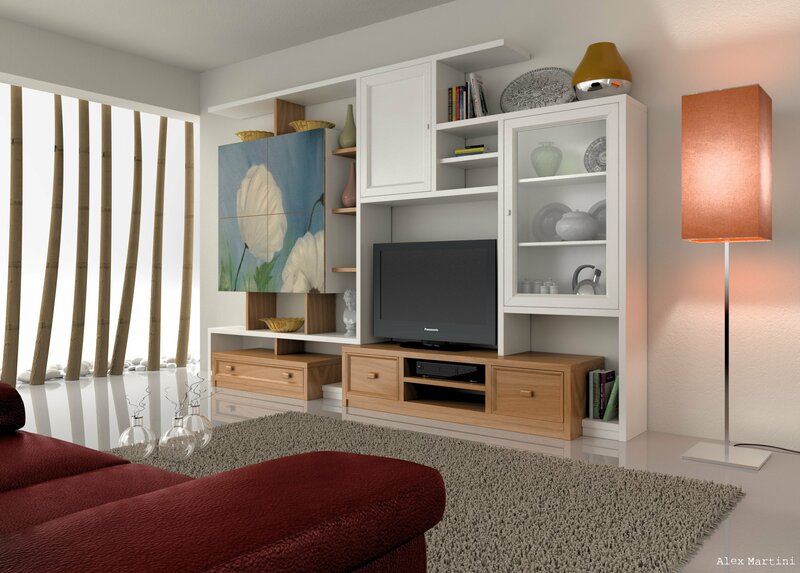 Where AutoCAD is a heavyweight design production platform with post development features such as cross sectioning, artificial lighting based-renders and panoramic rendering for virtual walkthroughs or a part’s final movements, Inventor is meant for the the manufacturing phase responsible technical staff. 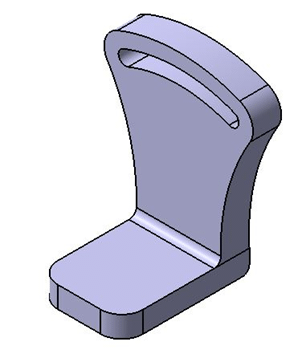 Inventor’s sole responsibility is to aid the post-design manufacturing process. However, this does not mean that it is not a good tool for design and development or for 2D/3D drawing. In fact, Inventor has some abilities that are far beyond the reach of the AutoCAD and for good reasons. Let’s look at them one by one after we compare the design of the software of itself. As discussed above, AutoCAD was created to be the all-in-all for every person in every domain. Which means it allots you control over the most insignificant, or should I say minute, detail possible in order for you to be in complete control of your design from top to bottom. But that subsequently brings about a learning curve. 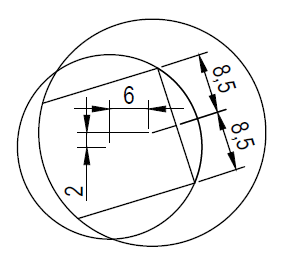 Also, in order for a user to be able to draft a mechanical part for instance, it is necessary for that user to learn the ins and outs of all the features relevant and also have a sense of how to write scripts along with the macro development if he/she needs to go beyond the simple click and drag technique of drawing and the tool-specific fundamentals involved. Along with all this, the user also must have a complete know how of the file types and layering capabilities in order to understand the design handed to him/her from another designer when working in a team or as part of a workforce where designs are often shared and multiple versions of the same part are incorporated for trial purposes. Such wide-scale efforts varying in diversity can only be successfully delivered when each one of the team members has a firm grip of all design fundamentals as well as the software’s features. But there are a few limitations to AutoCAD as well. Due to the fact that AutoCAD was primarily 2D software and was fine tuned into 3D software, it lacks features that other 3D modeling software incorporate almost by default. 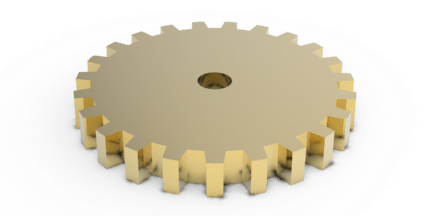 AutoCAD does not have many modeling capabilities that can be found in SolidWorks or CATIA. It lacks dynamic simulations as well as cable and harness modules. Routed systems are yet to be incorporated to their fullest capabilities and software’s such as CATIA offer advanced surfacing capabilities in a much more effective manner. You check our 3D AutoCAD tips, tools, and tutorials. One last point of consideration is that AutoCAD is still alive mostly because of companies whose initial investments in old drawings force them to stay with AutoCAD. Otherwise, AutoCAD, according to industry standards is at best 2D modelling and documentation software and a training ground for those looking to get into 3D development. Be it Inventor or CATIA or SolidWorks, AutoCAD is not the most suitable 3D modelling/production software out there today. On the other hand, Inventor is for the manufacturing phase. Where AutoCAD was developed on a geometry-driven design, Inventor was developed on a dimension-driven design. This basically means a huge difference in the fundamentals enabling us to draw out a sketch and then manipulate it by tweaking the dimensions, as opposed to sketching a part with diligent control over aesthetics as well size and hoping that we end up on the right form and shape. Using Inventor, drawing is simpler and more powerful, since all you need to do is sketch a raw form for the object, before finalizing its dimensions. Another excellent quality of Inventor is its ability to distinguish features from within a part and store them as individuals in the part/feature browser. Which means if you don’t like the hole you put in place previously in your design, then you can simply select the hole from the browser instead of having to tear the entire part away piece by piece. What is better is that the old habit of delete and repeat the design of the part goes out the window, and if you want to change a feature, you just change the dimension. Following all this, Inventor even supports adaption. 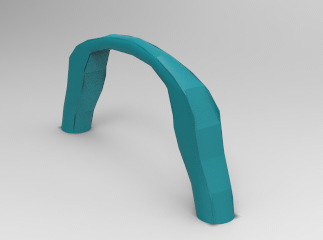 That means the existing geometry knows how to update itself based on updates within the base part of the geometry. 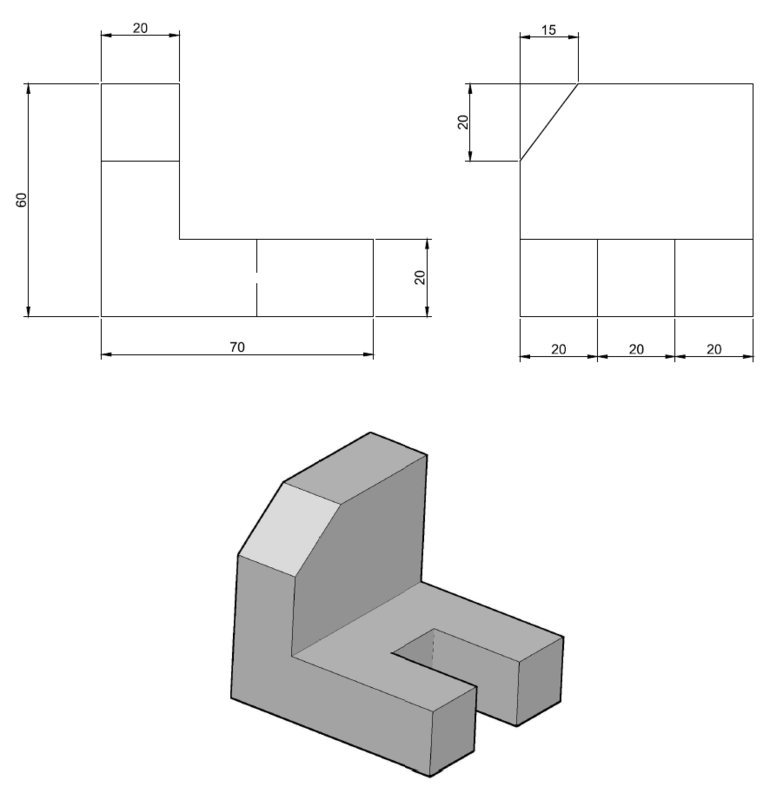 Not only was this base-part proportionality not available in AutoCAD, it was cumbersome to say the least to see that a part may or may not update itself when existing geometry would be manipulated. This is where the delete and repeat technique got birth from. Another great thing about Inventor is that it doesn’t use layers, or a command line, or a UCSISON. This may sound like I’m pro-Inventor but the truth is that Inventor presents many opportunities that AutoCAD just doesn’t touch upon, one of them is user-friendliness. When/why should you use AutoCAD or Inventor? Now, let's do a comparison at what times and why you should use the softwares. On the whole, Inventor may seem like the smart choice when it comes to any and all 3D drawing applications but one has to take into account the fact that your own need dictates your requirements. As a point of reference, consider that the entire Disney World was created using AutoCAD. At that time Inventor did not exist, SolidWorks and CATIA were new-borns and AutoCAD solids did a tremendous job. Where AutoCAD offers extreme control, Inventor offers ease-of-use. Where AutoCAD offers exceptional design and pre-production flexibility, Inventor is all about post-development and manufacturing potential.